MSDN Library is a library of official technical documentation content intended for developers developing for Microsoft Windows. 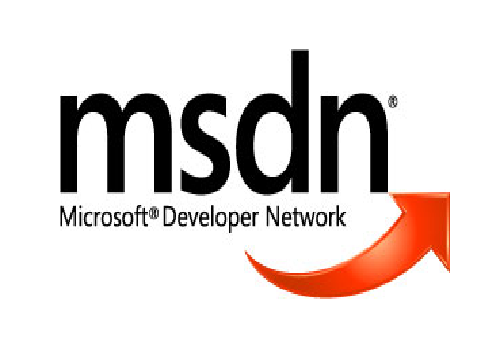 MSDN stands for the Microsoft Developer Network. The MSDN Library documents the APIs that ship with Microsoft products and also includes sample code, technical articles, and other programming information. It is available free on the web and on CDs and DVDs for paid MSDN subscribers. Initially, the disc version was only available as part of an MSDN subscription and was released on a quarterly basis (January, April, July and October). However, in recent times (2006 and later), it can be freely downloaded from the Microsoft Download Center in the form of ISO images and the CD/DVD releases are no longer published quarterly. Instead, its release schedule is now aligned with major software releases (major Visual Studio release, major Windows release or service packs), (up to Visual Studio 2008). Since May 2006, Microsoft has also started producing a community CD version of the MSDN Library freely available for download as ISO images on its Download Center which contains only updated content. The community distribution of the MSDN Library is aimed at developers in countries where broadband Internet connections are not readily available. Visual Studio Express edition integrates only with the MSDN Express Library which is a subset of the full MSDN Library, although either MSDN edition can be freely downloaded and installed standalone. In Visual Studio 2010 MSDN Library is replaced with the new Help System which is installed as a part of the Visual Studio 2010 installation.